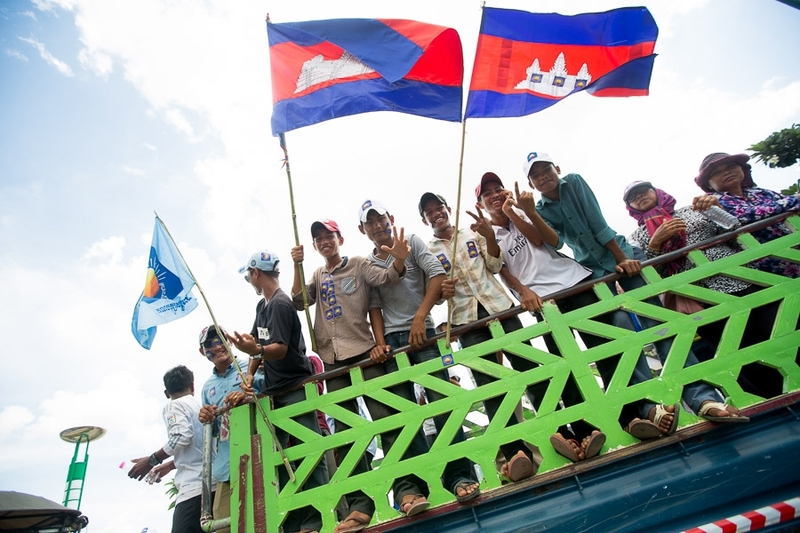 The opposition Cambodia National Rescue Party (CNRP) has called the National Assembly’s vote to allow court proceedings against opposition leader Kem Sokha unconstitutional and said the party will still protect him as he is still innocent until proven guilty. 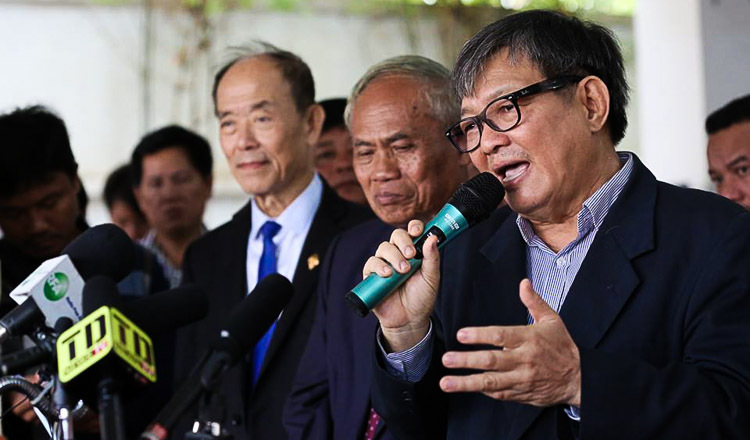 Speaking at a press briefing at the party’s headquarters on Tuesday, chief whip and lawmaker Son Chhay said that all members of the CNRP still supported and protected Mr Sokha because the court has not yet found him guilty, even though some people presumed he is a “traitor”. 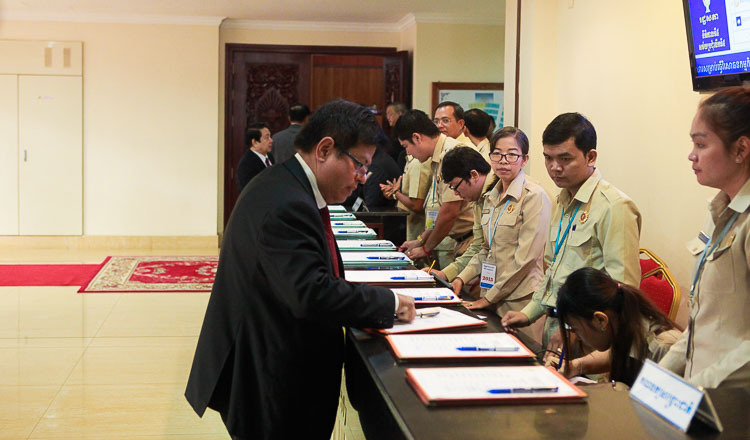 Mr Chhay claimed the arrest of the leader of the CNRP did not comply with the law or Article 38 of the constitution. “His Excellency Kem Sokha was imprisoned, but the court has not yet found him guilty and according to Article 38 of the constitution, he is still innocent so he is still president of the CNRP,” Mr Chhay said. “We have seen in the past few days that someone made a decision to accuse Kem Sokha of being a traitor, but we have the constitutional law that stipulates that any accused is presumed innocent up to the final verdict of the court. “I believe that Samdech Prime Minister has known the law well”, and “so His Excellency Kem Sokha is still innocent and we members of the CNRP have to protest and protect him,” Mr. Chhay added. Prime Minister Hun Sen of the ruling Cambodian People’s Party (CPP) has threatened to dissolve the CNRP if the party keeps protecting Mr Sokha, who has been charged with treason. Mr Sokha was arrested after video footage leaked of him speaking with supporters in Australia, saying that the United States was instructing him and supporting him to topple the government. The government also claims a number of opposition members were also involved in the alleged conspiracy with Mr Sokha and they were being investigated and could also face arrest. “The National Assembly had decided to continue detaining His Excellency Kem Sokha even though it is illegal according to Article 80 of the constitution. 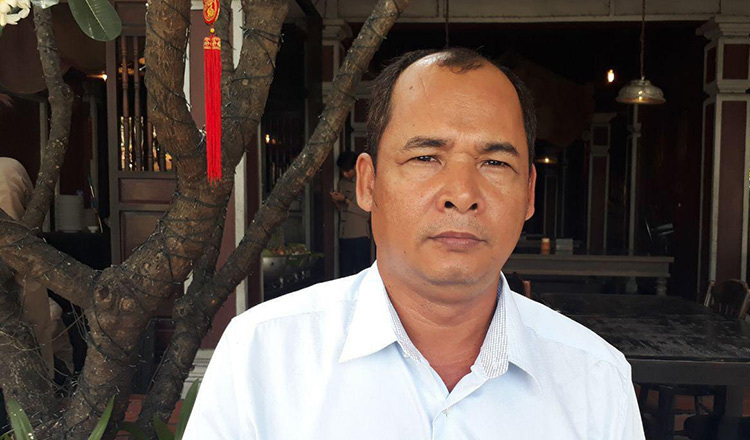 It is not stipulated to allow parliament to approve by a majority of votes to allow the authorities to continue to detain him,” Son Chhay said. 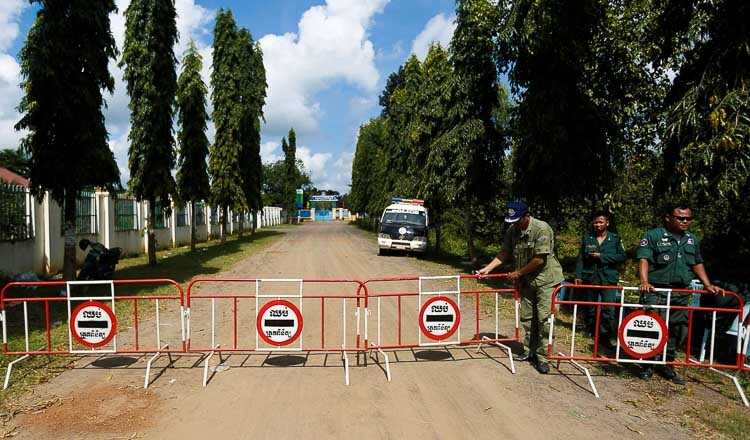 However, CPP lawmaker Cheam Yeap said authorities can arrested a lawmaker accused of a red-handed crime and then make a report to the National Assembly for approval for action to be taken. “The arrest [of Kem Sokha] was made in compliance with the constitution and law,” he said.